Meet the online facilitators for the Compassionate Inquiry Professional Online Training. 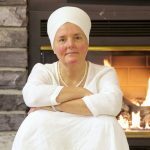 Dr Valerie (Vimalasara) Mason-John M.A (hon.doc) is an award-winning author of 8 books, including her debut fictional memoir Novel, Borrowed Body, and Detox Your Heart, Meditations for Emotional Trauma, and Eight Step Recovery Using The Buddha’s teachings to Overcome Addiction. 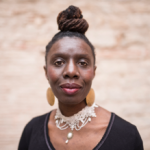 She is co-founder of the secular 8-week course Mindfulness-Based Addiction Recovery MBAR and is one of the new leading African Descent Voices in the field of Mindfulness Approaches for Addiction. 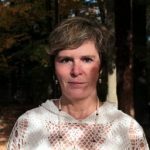 She is the current president of the international organization Buddhist Recovery Network, which promotes Mindfulness and Buddhism as a complementary approach working with addiction, craving, recovery, and abstinence. 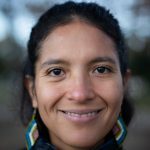 Valerie has been working in the field of inquiry over the past 15 years, as a trainer in conflict resolution and restorative justice, and as a guide with Liberation Unleashed, and a mentor in Direct Pointing. She lives in British Columbia. Maria (Manjeet Adi) is an MD trained in Hungary and an ND in Canada. 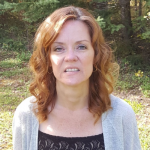 She uses counselling in her naturopathic practice and in working with LOFT community services with older adults who have mental health and addiction issues. She is an associate trainer in the Beyond Addiction program. Rhonda is a holistic psychotherapist who has been working in the field of addiction, mental/emotional health, and trauma for 15 years. She utilizes somatic-based therapies including Hakomi and Internal Family Systems (IFS). 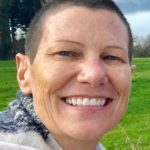 She is also trained in Emotion-Focused Family Therapy (EFFT) and the Compassionate Inquiry approach, which has been instrumental in her own healing and management of an inherited neuromuscular disorder. 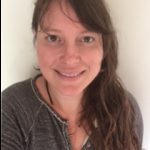 She utilizes the above modalities to support others in their mental, emotional, and physical healing process in and outside of integrating plant medicine work. Rhonda has a private practice in Athabasca, Alberta. 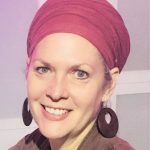 Beth is a Registered Midwife who approaches the experiences of pregnancy, childbirth and early parenting as pathways to healing. For over 20 years Beth has been counselling and providing care to a diverse clientele including youth, immigrant, queer and indigenous families; with a focus on people marginalized by society. Apart from her work as a Midwife, Beth is a Master Herbalist who has worked extensively with plant medicines in ceremonial context. 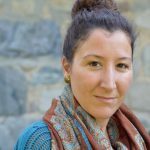 In her capacity as facilitator in plant medicine work, she assists clients to prepare for, process and integrate their experiences; drawing on various approaches including Compassionate Inquiry. 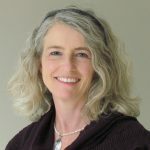 Beth has worked with Gabor Maté in numerous plant medicine healing retreats.